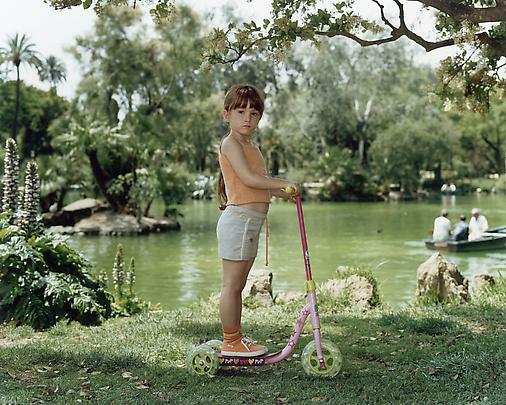 Marian Goodman Gallery is pleased to announce an exhibition of new work by Rineke Dijkstra, Park Portraits, which will open on Wednesday January 17th and will be on view through Saturday, February 17th. Park Portraits will present a new series of portraits of schoolchildren and adolescents in activity and repose, engaged in daily life, and photographed in city parks in Europe, China, and the United States. This will be the first presentation in the U.S. of this body of work, which the artist began in 2005. Three of these pictures were previewed at the Stedelijk Museum, Amsterdam in 2005 and elicited a strong response during the tour of Rineke Dijkstra: Portraits, which opened at Jeu de Paume, Paris, and also traveled to Fotomuseum, Winthertur; La Caixa, Barcelona; and Rudolfinum, Prague. 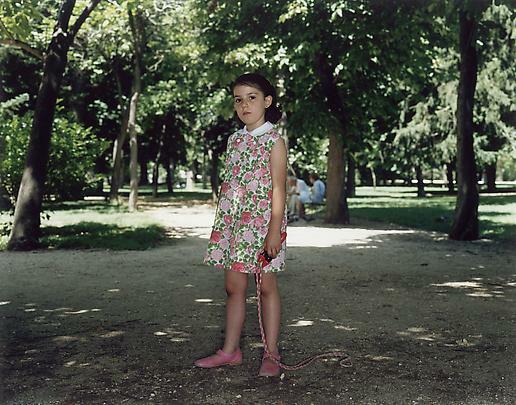 Rineke Dijkstra was born in Sittard, The Netherlands in 1959. She attended the Gerrit Rietveld Academy, Amsterdam from 1981-1986. She has been honored with the Citibank Photography Prize, Villa Arson, Nice (1998); the Werner Mantz Award (1994); and the Kodak Award Netherlands (1987) among others. Recent solo exhibitions of her work have been seen in Europe and beyond: in 2005-2006 in the Rineke Dijkstra: Portraits tour, which was on view in Paris, Winterthur, Barcelona, Amsterdam, and Prague; and earlier, at Frans Halsmuseum (De Hallen), Haarlem, The Netherlands; the Herzliya Museum of Art, Israel (2001); MACBA, Barcelona (1999); Museum Boymans-van Beuningen, Rotterdam; Sprengel Museum, Hannover; and Museum Folkwang Essen, and Galerie der Hochschule fur Grafik, Leipzig (all 1998). In the United States, she has had one person shows at LaSalle Bank, Chicago (2004); Art Institute of Chicago (2001); and Institute of Contemporary Art, Boston (2001). A selection of recent group exhibitions include Out of Time: A Contemporary View (2006) at The Museum of Modern Art, New York; Girls Night Out, Orange County Museum of Art, Aspen Museum of Art, and Blaffer Gallery, University of Houston (2003-2006); Moving Pictures (2004), Guggenheim Museum, Bilbao; and Photo Triennial (2003), International Center of Photography, New York. Please join us at our opening reception from 6 – 8 pm on Wednesday, January 17th.